Six months after Slumdog Millionaire swept the 81st Annual Academy Awards, the cast is still reeling under its huge success. Dev Patel has gone on to bag an M Night Shymalan project while Mumbai-based Freida Pinto has become the toast of Hollywood, starring in Woody Allen's next among many others. The children, who starred in the film, have also become successes in their own rights. We trace them, and find out what they have been up to. 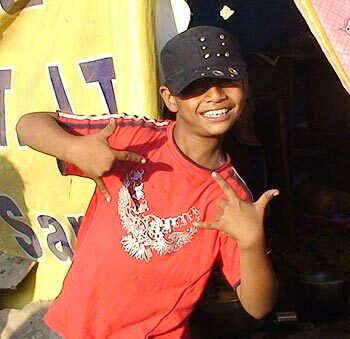 Life after Slumdog: I am studying in the fouth grade in school. My life hasn't changed much after Slumdog. I still play with the same friends. Nobody treats me specially but yes, people recognise me on the road. I went to the Cannes Film Festival in May, and I'm glad I did. Offers in hand: I have done two ads -- one with Hrithik Roshan for Reliance mobile and the other is Britannia. I am also doing a French film called Shyam's Secrets. The shooting will start during my Diwali vacation. 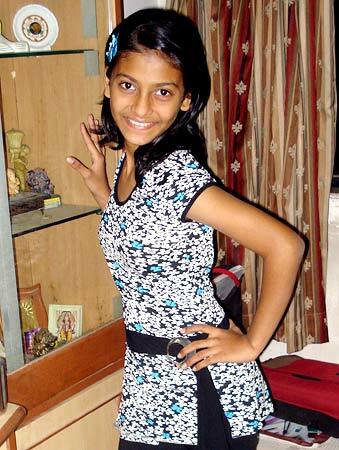 At nine years, Rubina has already penned her autobiography called Slumgirl Dreaming. She has also rubbed shoulders with Nicole Kidman no less, when the duo were shooting for a Schweppes ad with Arjun Rampal. It was directed by Shekhar Kapur. For more on Rubina's life, click here. 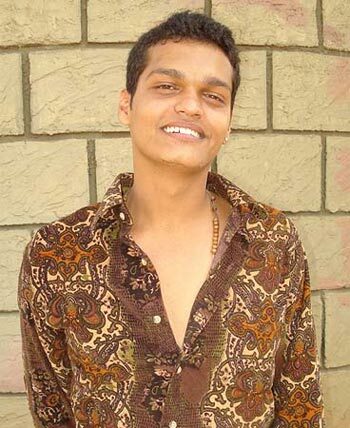 Azhar recently shifted out of the slums and got his own home in suburban Mumbai. 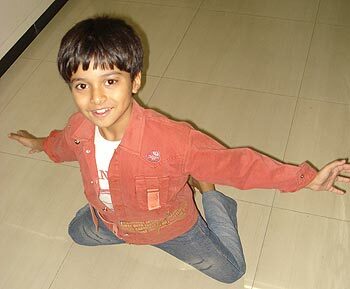 He attends the Pali Chinmaye School. "I never dreamt I would ever live in a proper concrete house," he says. "It feels good. I feel like an celebrity." Like Rubina, Azhar is also penning his autobiography and will travel to South Aftrica to launch the book. After the stupendous success of Slumdog Millionaire, Azhar and Rubina's Bollywood career is on track. They made an appearance in Vashu Bhagnani's Kal Kisne Dekha. Azhar also featured on television shows like Chote Miyan Bade Miyan and 10 Ka Dum with his favourite star Salman Khan. On the show, Salman gifted him a small bike. "School is the most important thing for him now," Azhar's mother tells us. "If he gets offers, I will let him do them. But I am not concentrating on acting. I want him to study well. He is enjoying the new house and having fun with the neighbourhood kids." Life after Slumdog: I am in the eighth grade in school. My life has not changed much but people recognise me these days. I have changed schools. I had a huge welcome in my new school. All the students were waiting for me. Offers in hand: I auditioned for a few films post Slumdog and I will be doing a couple of them soon like Anurag Kashyap's Tumbad and Anand Shivkumar's Chikotee. Life after Slumdog: I am in eighth standard now in school. People knew me even before I did Slumdog. But now even more people know me. People sing Jai ho when I walk on the road. That feels good. Offers in hand: I am working in Shah Rukh Khan's My Name Is Khan. I have finished shooting for it. As I am playing his younger version, I did not have scenes with him. But he came on the sets to guide me and help me work on my part, as he plays the same role. I am also doing a German film. 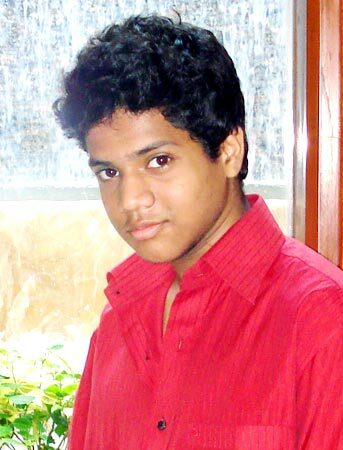 Life after Slumdog: I got 86 percent in my board exams and have taken Commerce in Mumbai's Jai Hind college. Life has changed a lot since Slumdog. People recognise me on the road now. Even beggars ask me if I am the same guy, as I look different in the movie! In college, I get calls to attend auditions. Offers in hand: I have auditioned for few but nothing has been finalised yet. I signed a film with a big banner but it has been shelved. I will take up acting as my career or else I will learn web designing. Life after Slumdog: Life has been different. People recognise me on the streets not only in India but globally. When I fly, my ticket gets upgraded and I get discounts in restaurants. Offers in hand: I haven't got any good offers in Bollywood. But I have got an offer for a French film, directed by Franciose Ellong. I have another London based film too. Watch the craziest bike stunts!